Selena Quintanilla-Perez was a Mexican-American star born in Lake Jackson, Texas. Her father raised her to follow her dreams and pursue music. Quintanilla is remembered as a legend, especially to many Mexican-Americans throughout the United States. 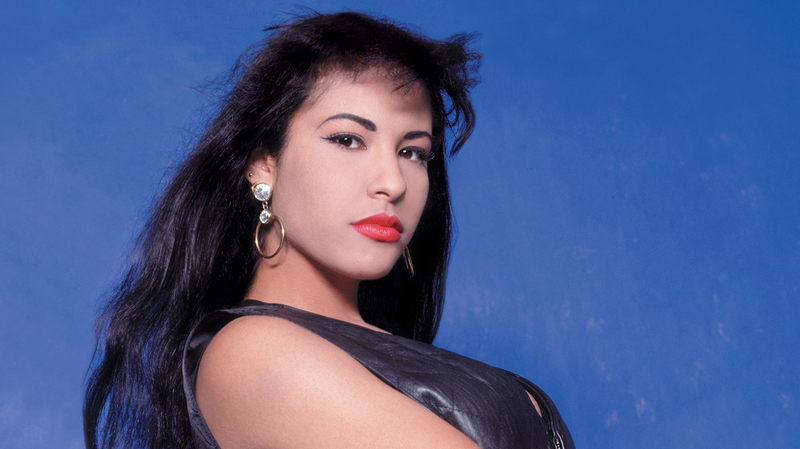 Recently, Netflix has announced that they will be producing a show all about Selena. The series will go through her life and her journey of becoming a star. Moises Zamora will be the writer and executive producer; however, there are many others who will join his crew to make the story as accurate as possible, such as Jaime Davila, Rico Martinez, Suzette Quintanilla, Abraham Quintanilla Jr., and Simran A. Singh. Davila has expressed that he wants to show how Selena surpassed the boundaries that society put up for a female Mexican-American singer. Selena started her career at just six years old with her siblings. They formed the Tejano (a genre composed of country sounds, traditional Mexican rhythm, and a mixture of cumbias, country-western, and R&B) band “Selena y Los Dinos”; they started at her father’s restaurant, “Papa Gallo’s”. Later, “Selena y Los Dinos” began to gain popularity in the world of Tejano music. They performed at nightclubs, festivals, state fairs, and other events. Throughout the band’s career, they were often recognized because of Selena’s unique outfits and style. Selena also performed dances that many considered to be beautiful; she was labeled “The Queen of Tejano Music” multiple times throughout her career. Although, the media did not pay much attention to their band until 1993. The group originally worked with Freddie Labels until their album had a poor year of sales. Abraham, the band’s manager, decided to change to Cara Recordings where they started to tour around Texas, living in a van. The group’s popularity continued to rise in the ‘80s as they began to play in larger cities and venues. In 1986, Selena won the Tejano Music Award for Female Entertainer of the Year, which was a proud achievement for her. The following two years, the group released three more albums, which resulted in more awards. However, Selena’s rise to fame was not easy. She was often criticized for her Spanish, which was not perfect because she was not taught the language growing up. Also, there were not many, if any at all, popular female Mexican-American singers during that time period. She was looked down upon for being a woman, being told that she wouldn’t make it as previous male Mexican singers had. Eventually, because of her charismatic personality and beautiful songs, Selena was accepted by the people of Mexico. In 1994, Selena’s album “Amor Prohibido” (Forbidden Love) was nominated for a Grammy. She won the nomination for “Best Mexican/Mexican-American Album”. Selena later opened up two boutiques to pursue her other dream of having her own clothing line. Growing up, she loved clothes and design. Unfortunately, on March 31, 1995, Selena was shot by her fan club president and manager of her boutiques, Yolanda Saldívar. It became aware to Selena that Saldívar had been embezzling money from both the boutique and fan club. Saldivar was fired in the first week of March. She became very angry. She then convinced Selena to meet her at a Days Inn hotel to hand over financial records that she initially refused to hand over. Once the two were alone, Saldívar shot Selena who passed only two days before her third wedding anniversary and a little over two weeks before her 24th birthday. Selena’s influence on the music industry still lives on today. After her death, the band released the songs they had recorded for their English album, “Dreaming of You.” Two songs on the album climbed to the United States Billboard Top 200, which had never been done by a Latin artist. In memory of Selena, her family and many others released a movie in 1997. Jennifer Lopez starred as Selena, telling her story from the time she was young to the time she died. In recent years, MAC Cosmetics also released a makeup collection in her memory that her sister helped create. The collection featured many of Selena’s signature looks, with red lipsticks, purple tones, and more. As previously mentioned, Netflix is working on a series about her. Hopefully, the release of this will create even more talk about the deceased singer. Selena Quintanilla continues to inspire many people. She was a kind, compassionate, charismatic, and creative woman. She broke barriers the industry built for her. In a way, Selena will always live on.